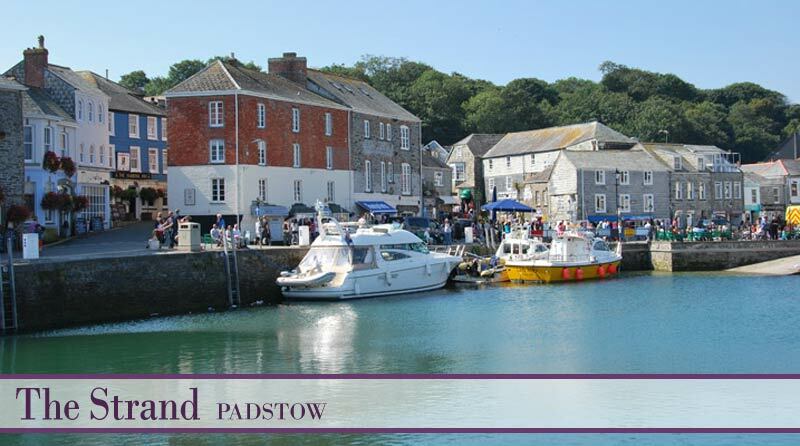 Welcome to Padstow one of Cornwall's best-loved and most picturesque fishing communities. It's here at the mouth of the Camel Estuary, an Area of Outstanding Natural Beauty, where the purest of light, the golden-sand beaches and the tumbling surf work their magic. In a stunning position right on the quayside and surrounded by narrow streets, old fishermen's cottages and village shops, the Strand self-catering apartments offer welcoming, comfortable and well-appointed holiday accommodation with uninterrupted views across the fishing harbour to the estuary and meadows beyond. Each apartment occupies three floors of this beautiful Grade II listed red brick building with views directly over the harbour. 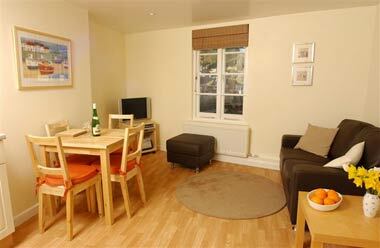 The ground floor has an open-plan kitchen and comfortably furnished dining/sitting area. 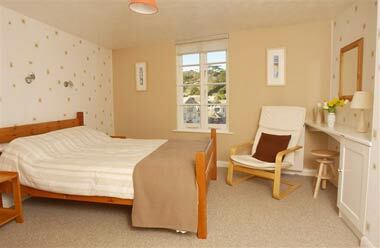 The ground floor comprises kitchen with integrated oven, hob, extractor fan, fridge, dishwasher. Dining/living area has adjustable lighting plus comfortable chairs, flatscreen TV and DVD and CD player. Stairs to: Second floor bedroom with 2 single beds and space for a cot. Please download and complete the above booking form and post along with 20% deposit. If within one month of booking please send full amount. 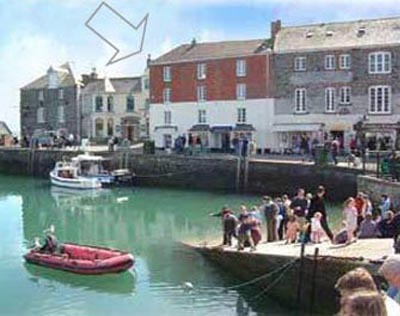 In a designated Area of Outstanding Natural Beauty, Padstow with its picturesque mixture of narrow streets, tiny cottages, inns, caf�s and restaurants and a superb range of individual shops, has evolved around its bustling harbour and quayside. Though much of the fish and seafood landed goes from here to fish markets around the country there's always more than enough left for local consumption and for the town's renowned seafood restaurants. Surrounded by rugged cliffs, hidden coves and stunning beaches, Padstow and its immediate area offers much for the discerning visitor. Walk the coastal path, surf the waves, visit any of a number of renowned houses and gardens, take a boat trip along the coast, cycle the Camel Trail, or spend an hour or two in the sunshine watching the fishermen mend their nets. But take your time - there's much more from which to choose.